Born in Newcastle on the east coast of Australia in 1966, Brett McMahon began his artistic career as a painter in 1989. Today, he is recognised as one of Australia’s most original and innovative artists and someone who brings enormous intellectual rigour to his art. While he has lived away from Newcastle and travelled extensively, its surroundings have been and are a continuing influence, as is the outdoors. McMahon is a surfer and a regular visitor to the nature reserves of his childhood days: Awabakal and Glenrock on the Newcastle coast. "There's a lot of variety in the vegetation. The way the trees grow and twist – certain gnarly angles – you know, it's always just right." Exhibiting extensively since 1992, McMahon held 15 solo shows in Sydney before returning to Newcastle around 2010. He now focuses on scale: large paper and canvas works, and sculptural installations some involving sound and video effects. His Newcastle studio is a yard at the back of the workshop where his wife, Rowena Foong, and her two sisters, Angela and Juliana, tailor clothes for their boutique fashion business, High Tea with Mrs Woo. In 2016, McMahon completed the successful commission to design and install panels as part of the permanent exterior facade of the New South Wales State Courthouse Building, Newcastle NSW, in conjunction with Cox Richardson Architects and the New South Wales State Government. This work, called ‘Melaleuca’, has attracted great acclaim. Of the inspiration behind the Newcastle Courthouse project, McMahon observed: “I (was) interested in exploring what natural features or conditions exist before a place or site has been developed, so in this instance I researched what the area around Civic would have looked like before the time of colonial settlement. "I didn't like the idea of painting sitting on top of the surface," McMahon told Smee. "It was too applied, too false." He wanted, as he put it, to "embed the marks, make them part of the material". Smee has followed McMahon’s career for 20 years and watched the evolution of the artist’s work - which now takes in burning wood, the innovative use of gesso with pigments and canvas, and dyes as well as textiles. Brett McMahon cites the opportunity to watch his wife and her sisters as they worked with textiles and says this helped to continue his strong influence with the medium as an art form in his own work. Some of McMahon's materials also come from hardware and building suppliers as well as factory discards. "I still buy a lot of paper, gesso, ink, and linen from the art supplier," he says. "But they are just part of a larger repertoire of bought, found, and scrounged materials." 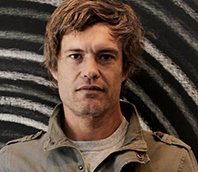 In addition to being a successful artist, Brett McMahon is a casual academic in the Architecture Department of the University of Newcastle. His work is represented in public and private collections, both nationally and internationally including Allens Arthur Robinson Melbourne, Artbank Sydney, Dubbo Regional Gallery NSW, JP Morgan Chase Sydney, Lake Macquarie City Art Gallery NSW, Macquarie Bank Sydney, Newcastle Art Gallery NSW, University of New South Wales Sydney, University of Sydney NSW, University of Sydney Union Collection NSW, and the University of Technology Sydney.